Jeep History during the Korean War! Let's look at a bit of history during the Korean War from 1950 till the end of the war in 1953. After World War II ended in 1945 the U.S. and other Allies had thousands of left-over Willys MB's and Ford GPW's to deal with. Many were sold as surplus, left in other countries for civilian use, or simply dumped overboard in the Atlantic or Pacific. Note: After WWII rumors spread that you could purchase a new surplus unassembled Army "Jeep In A Crate" for very little cash...and even today these same rumors crop up now and again. The truth is that ...yes...there were Army Jeeps shipped in crates during the war, however they were quickly assembled by the military and put into use. 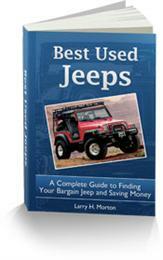 After the war any surplus crated Jeeps were dumped into the ocean or left in other countries. 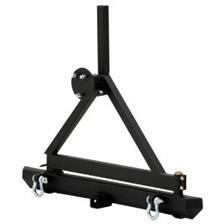 Some were licensed for reassembly and sale in countries such as with India's Mahindra and Mahindra company. Unfortunately recent history records no known warehouses full of original crated WWII or any other surplus Jeeps in ready to assemble condition. Would be nice to have one if they did exist. 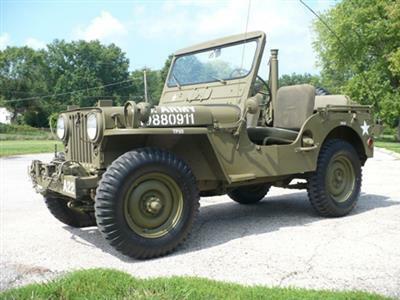 See a little more about the early Army Jeep History. Now, the post WWII peace was short lived and the U.S. again found herself involved in another foreign war (conflict?) in Korea. 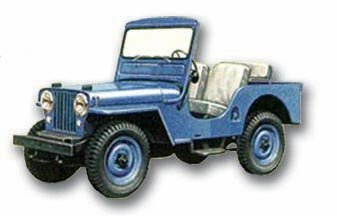 Between the end of WWII in 1945 and the beginning of the Korean War in 1950, Willys-Overland had been producing the new "Civilian" Jeeps called CJ-2A's followed by the CJ-3A's. 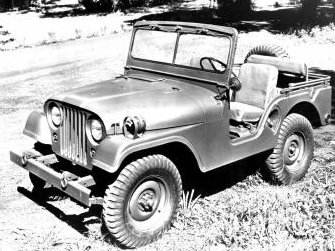 Willys began reviving its Military Jeep production for the Korean War by upgrading and renaming its CJ-3A to be called the M38. The M38 was essentially the CJ-3A but had a one-piece windshield, conventional wipers, larger headlights and a more durable rear axle among other improvements. Although Willys built over 60,000 M38's they were replaced by a totally new and improved design in 1952 called the M38A1. The M38A1 would shortly become the prototype of the soon to arrive and now famous CJ5 in 1954. This newest Military Jeep had a slightly longer wheelbase but was 6 inches longer overall when compared with the M38. The M38A1 was wider and roomier (and heavier), but had a longer driving range due to a larger gas tank. 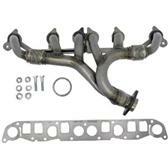 A new F-head engine replaced the old L-head motor giving the M38A1 a boost to 72 horsepower over the former engine's 60 horsepower. Jeep history shows that the M38A1's were produced from late 1951 through 1963. 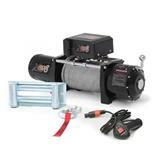 Over 90,000 units were manufactured. They were mostly used in non-combat situations, but they set the stage for the future of the Civilian Jeep market. It should be noted here that many of the WWII Willys (MB) and Ford (GPW) models were still in use during the Korean War along side the M38 and M38A1's. Jeep History reveals that without the Military's necessity for innovative machines of war (and ultimately peace), the Jeep as we know it may have never existed. 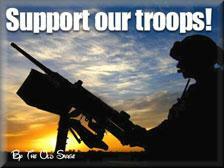 God Bless our Military and Allies for what they have done, and for what they are doing to protect and spread Freedom throughout the world. Do You Have A Military Jeep? 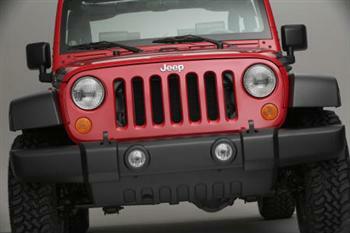 Do you own or have experience with Military Jeeps? Tell us about your "Military Jeep". 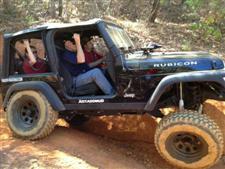 Send a photo (up to 4 photos accepted)...and tell the story of your experience with these once war-ready Jeeps. Please Contact Me directly if you need any assistance uploading your photo(s). Can you find the owner of this Jeep? Do I have a 1955 CJ5 or an M38A1?